I was around Jalan Bukit Merah area and decided to drop by Alexandra Village Food Center for lunch. 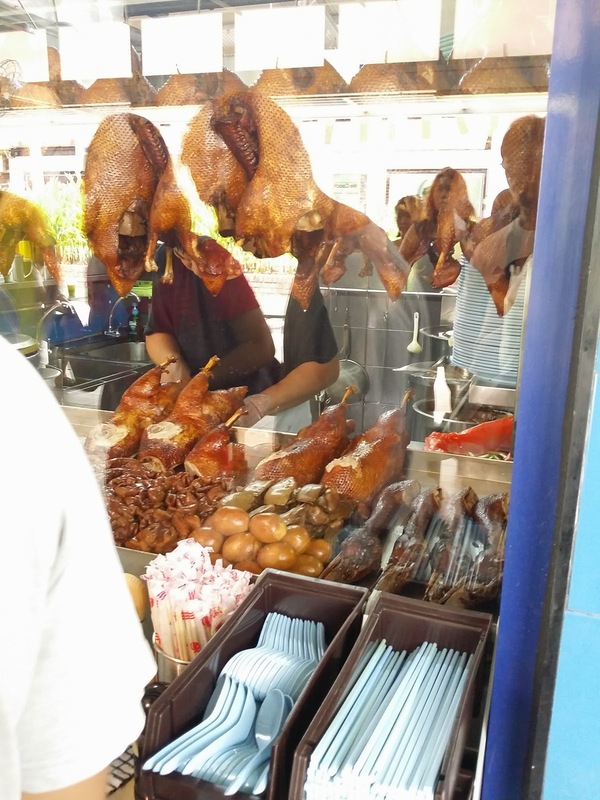 I always heard about this food center being well known with a spread of good hawker food, most important the food prices are cheap. 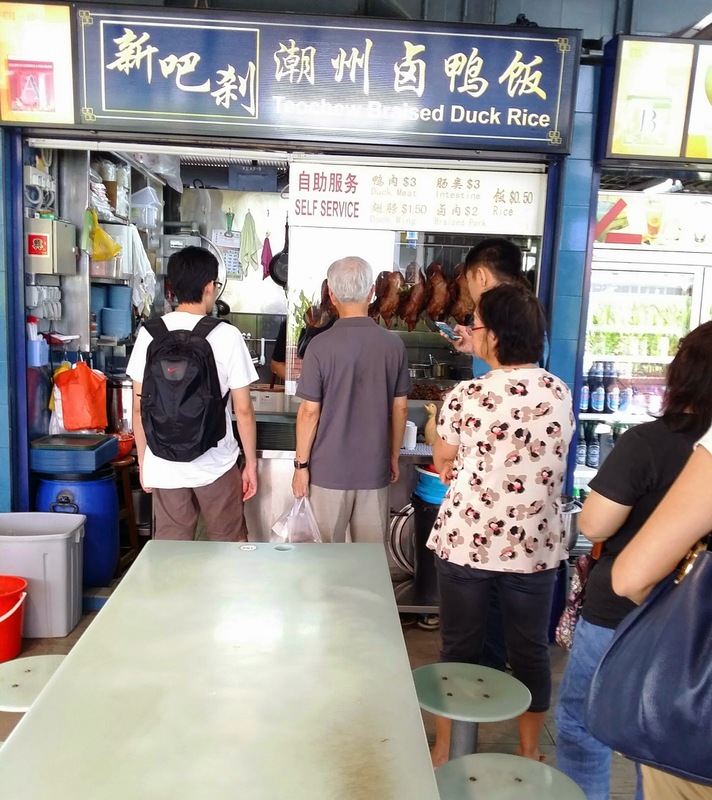 I was quite curious to see a long queue of people queuing at this stall named Teochew Braised Duck Rice. Look at the reflection from the glass panel, you can see the queue was still long behind me. Finally, I've got a plate of braised duck meat on the table. Remind me of my childhood days when I was a child, this traditional Teochew dish is one of my favourite food. 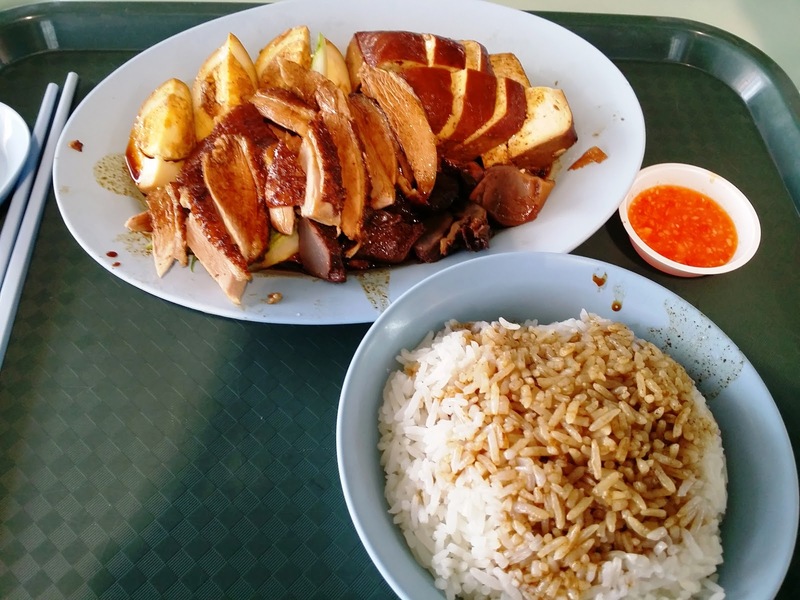 When I have the first mouthful of the duck meat with the rice, I can only described it's worth for the long waiting. The strong aromatic smell of the dark soy sauce and mild spices still linger in my mouth. Dark braising sauce used in this stall for the braised duck was not too salty or starchy, but yet the sauce tasted savoury and with a mild sweetness that really suit my palate. 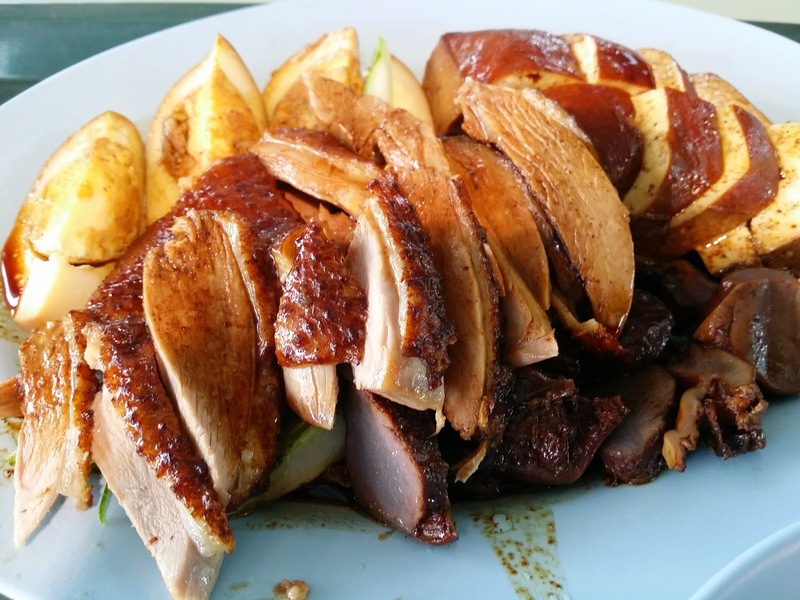 Duck meat was tender with some moisture that prevent the meat to turn hard and dry.